CO2 tubing, a pin lock gas disconnect, and a few worm clamps make for the perfect CO2 dispensing kit! 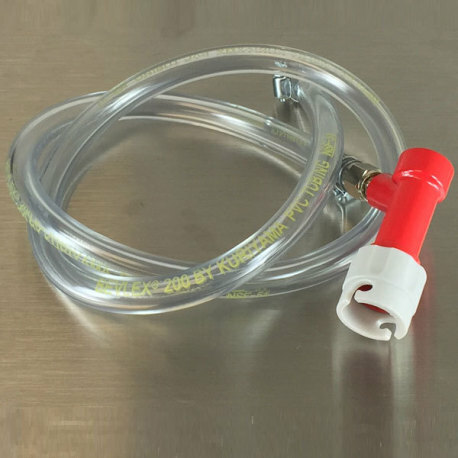 A great, easy way to make CO2 and keg connections!The pin lock gas dispensing kit is a 3-foot length of 5/16" ID Bevlex tubing with a ball lock gas disconnect and 5/16" swivel nut set worm-clamped on one end, and a small worm clamp on the other that can be used to connect the assembly to a CO2 manifold or regulator. Always good to have around, especially for carbonating several kegs at once!